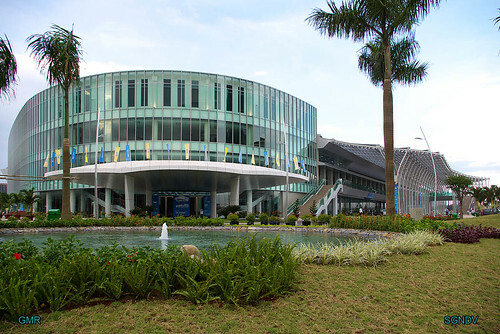 The shiny new exhibition centre in Phu my hung is now open to the public. 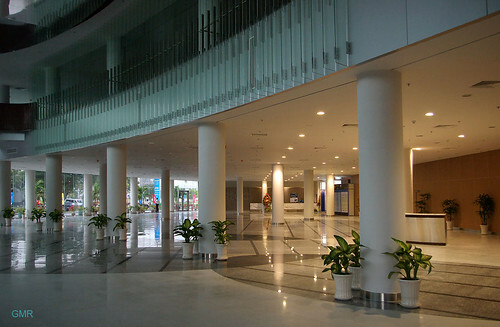 There is a machine/tooling exhibition on this week. 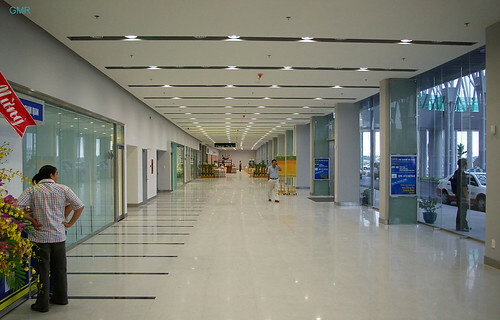 More images from this series. 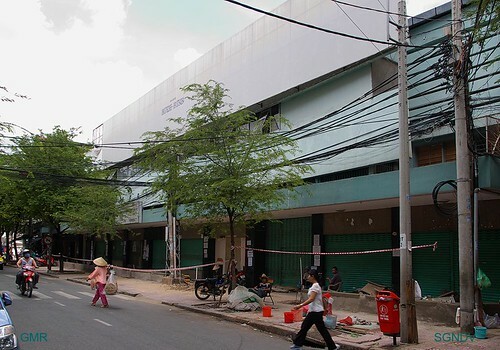 An exhibition displaying the winning design and runners up of a city plan competition is taking place this week at 92 Le thanh ton street, district one. 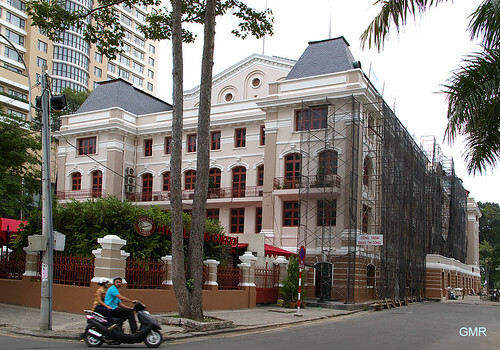 The Exhibition ends on 2nd November. 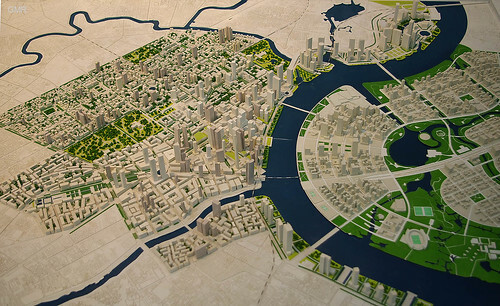 District 3 is not standing still, so here is a quick round up of what’s happening at the moment. 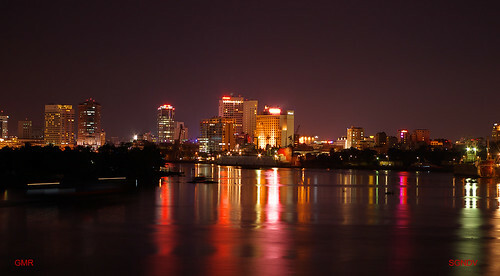 This is not everything, it’s just a series of images that I have gathered so far this month. 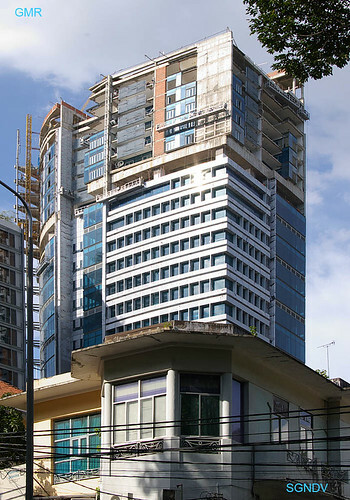 Some of the buildings have been up for a while but most are new or under construction. 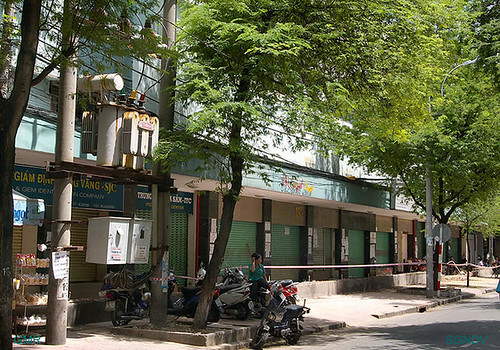 76 Cách mạng tháng 8 street. 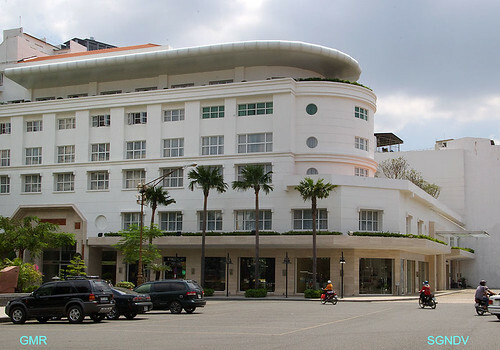 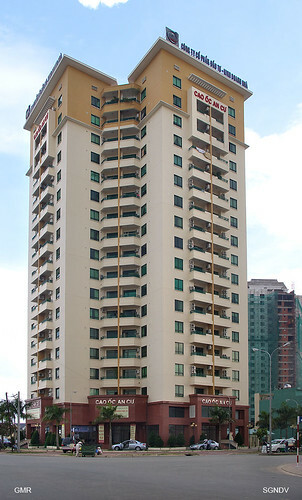 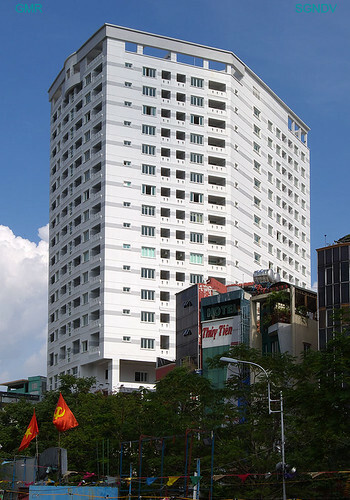 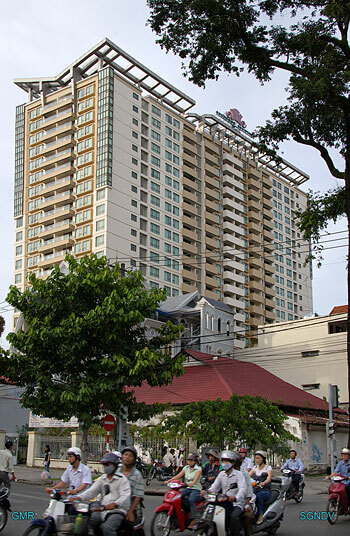 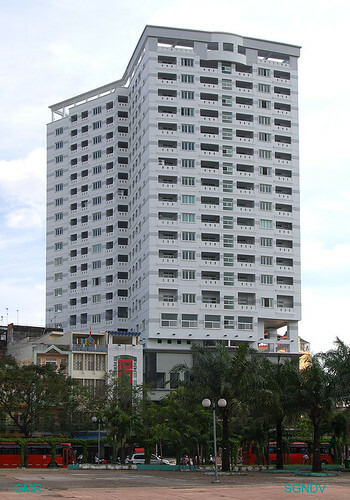 The Sherwood residence apartments on Nguyễn Đình Chiểu street. 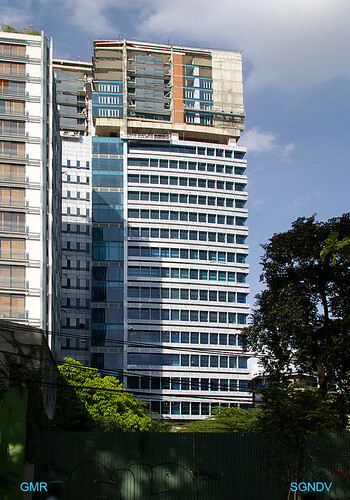 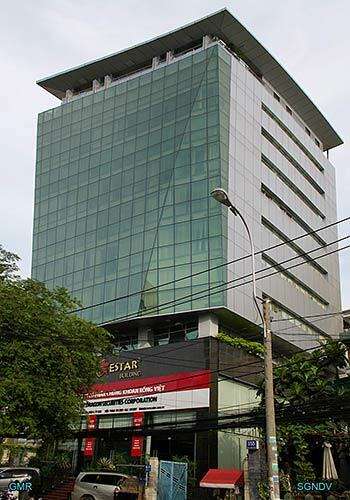 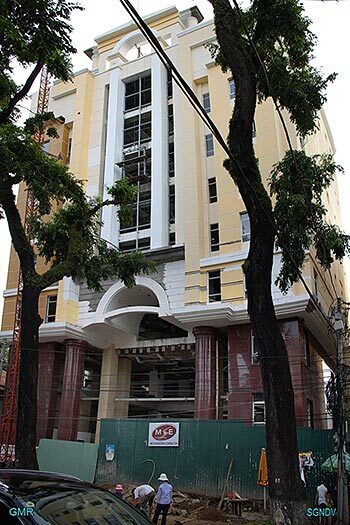 New ESTAR building on vo van tan street. 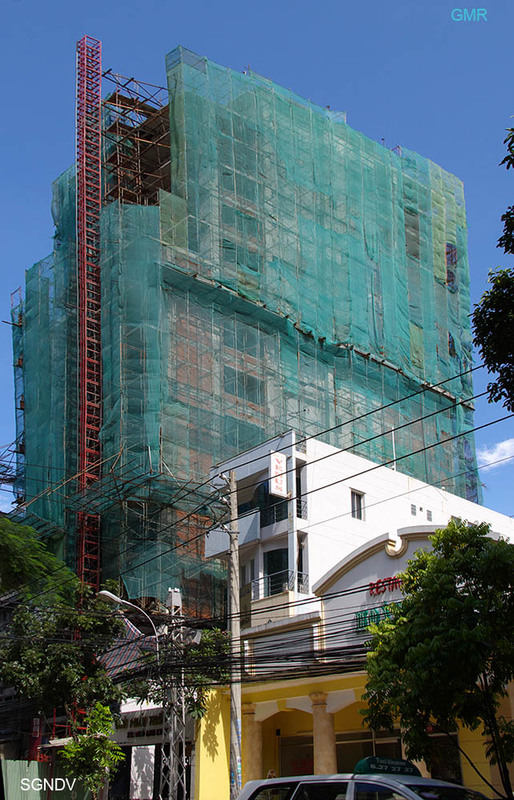 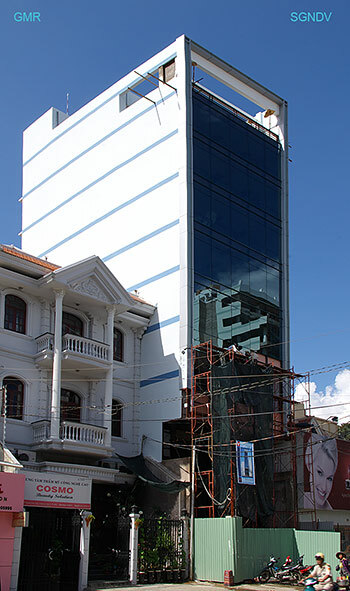 A couple of office buildings under construction on the corner of Truong Dinh & Vo Van Tan. 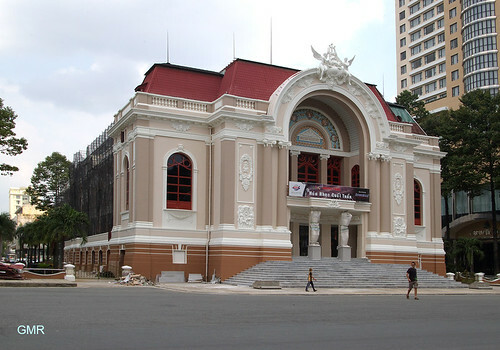 The “wide” Nam kỳ khởi nghĩa. 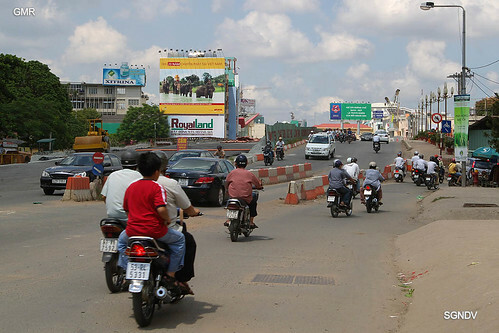 The same bridge taken a few days later. 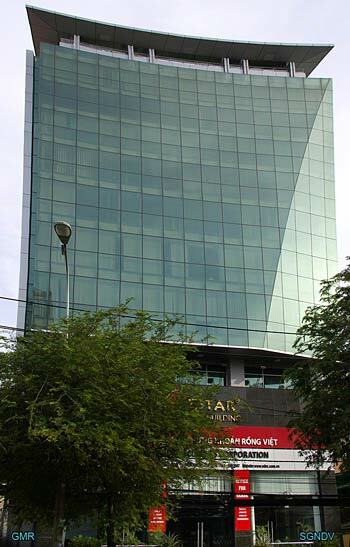 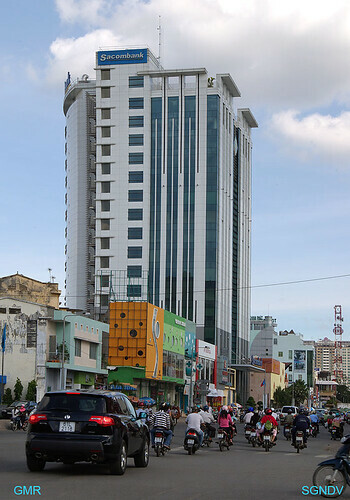 The New Sacom bank head office on Nam kỳ khởi nghĩa that opened earlier this year. 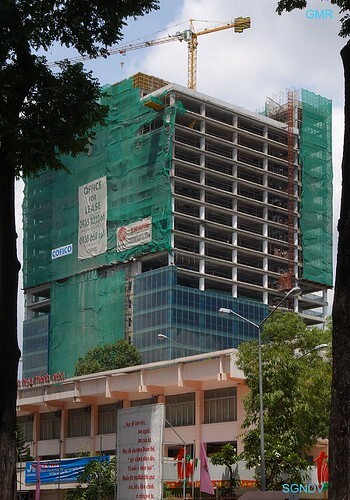 The SCREC towers have been up over a year now. 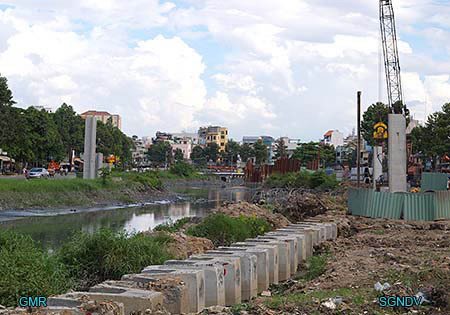 Work to clean up the Thi Nghe canal is continuing. 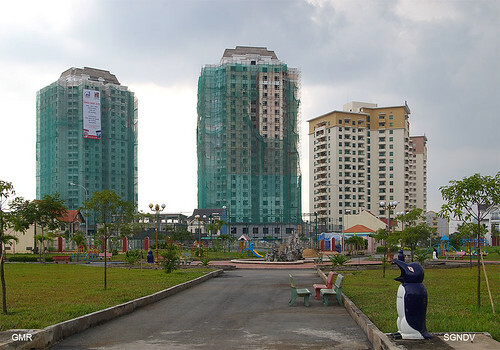 This canal is subject to a proposed elevated highway from the airport to the city centre. 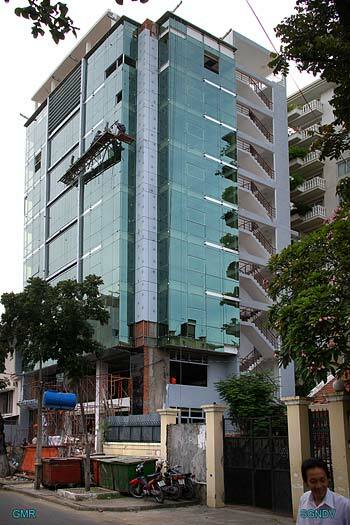 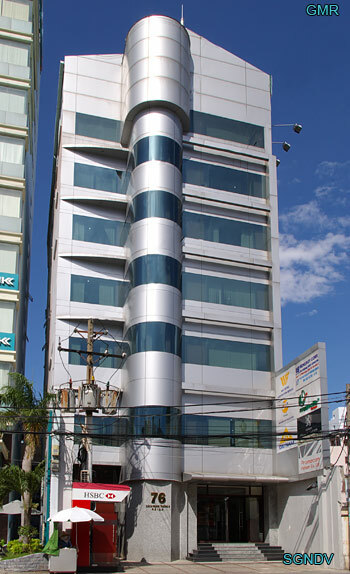 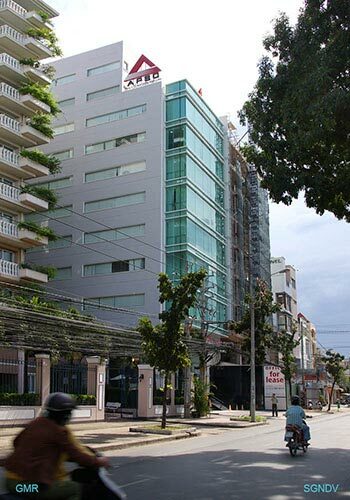 New office building on Nguyễn Đình Chiểu street. 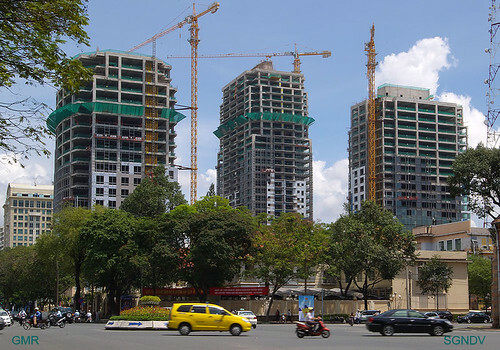 A memorial park for the Buddhist monk hích Quảng Đức is under construction on Cách mạng tháng 8. 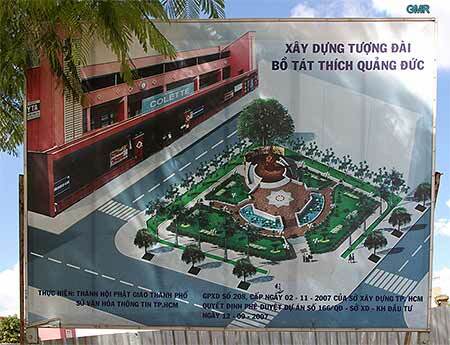 A render of the memorial park for the Buddhist monk Thích Quảng Đức that is under construction on Cách mạng tháng 8. 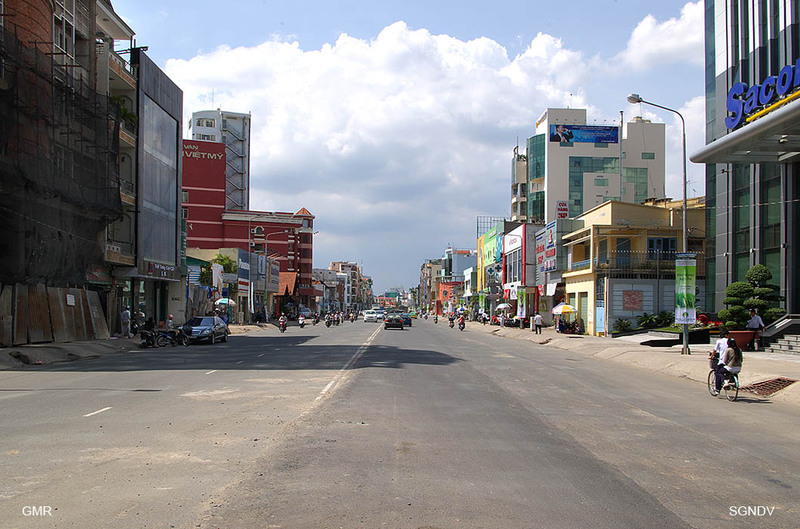 The An Khánh residential area in District 2 is easy to find, just before the Saigon bridge as you approach the city on highway 1, An Khánh is the left and An Phú on your right, this is the way I see it although the actual border is unclear. 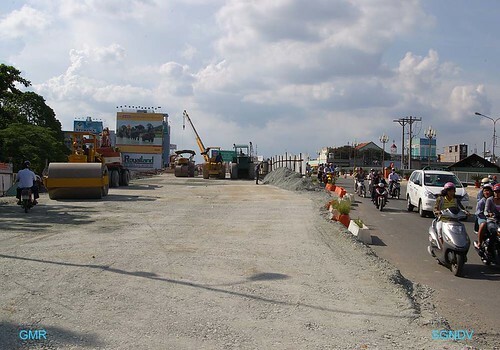 This area is very popular because of its proximity to District 1 and the east/west highway under construction is going to make access to the centre better still. 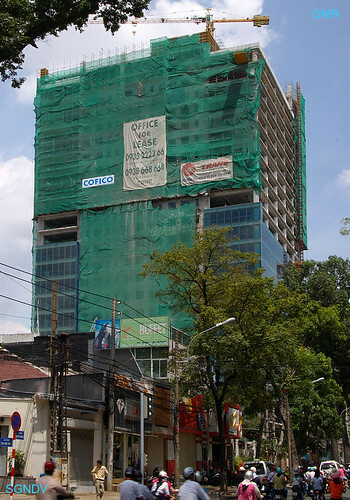 The price of property here shot up in late 2007/early 2008 with the completion of the Thủ Thiêm bridge. 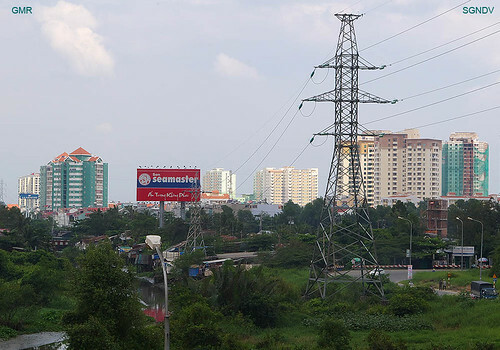 View of the An Khánh area taken from the Saigon bridge. 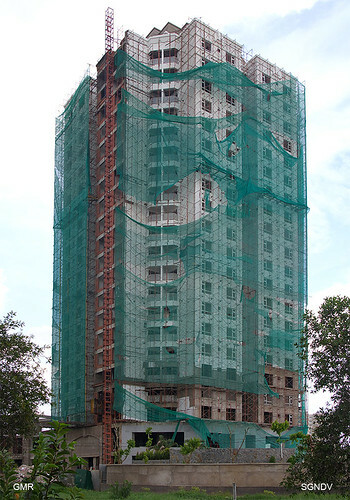 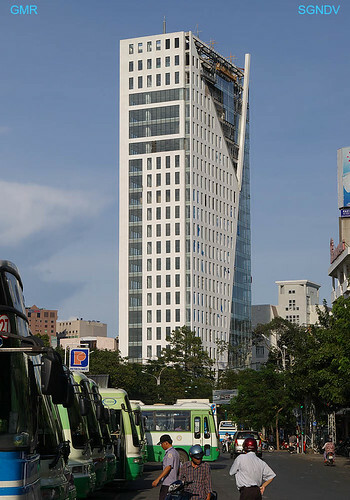 One of the “An Khang” towers under construction. 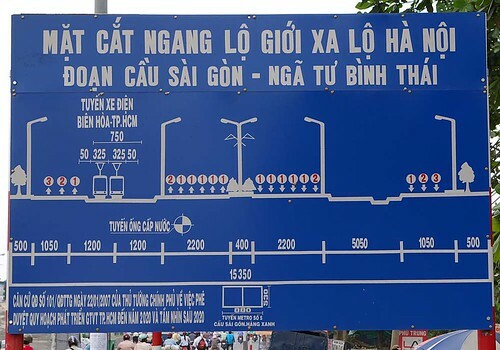 A planned light rail system from the city centre to suoi tien will have a stop near An Khánh. 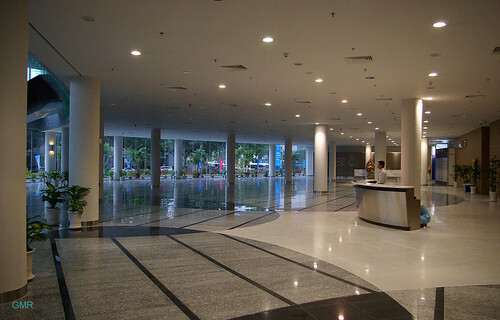 All photographs taken October 2008. 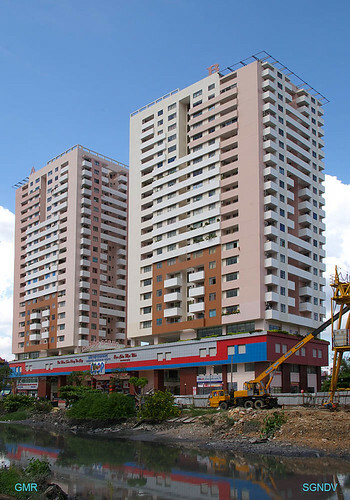 Click any for a larger image. 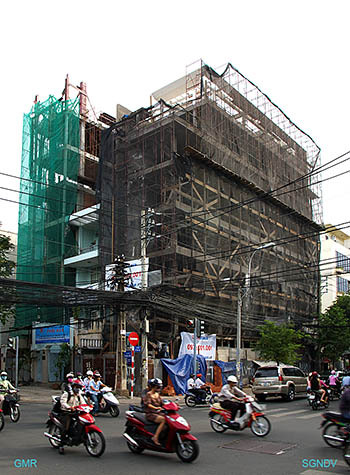 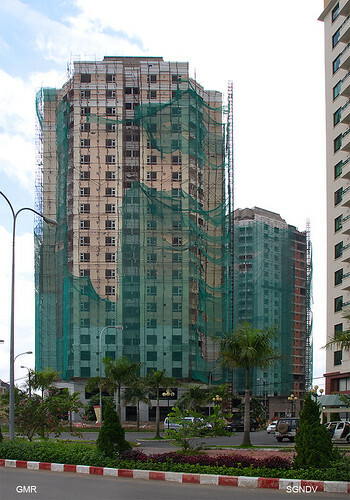 20 October, 2008 Posted by GMR | District 2	| an khanh, apartments, construction, development, District 2, residential | Comments Off on An Khánh residential area. 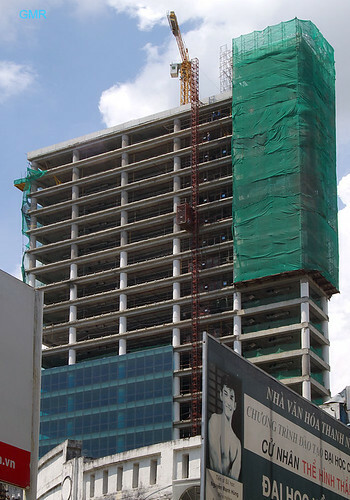 The SJC tower project is a proposed 45 floor construction to be built on the site of the existing SJC building and the ITC shopping centre. 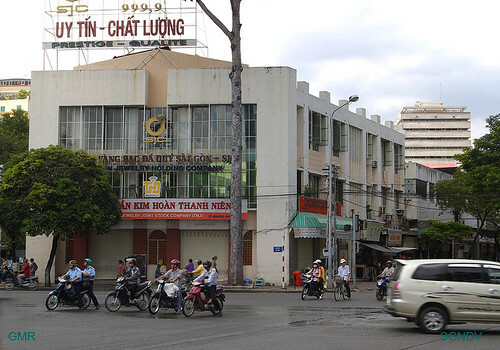 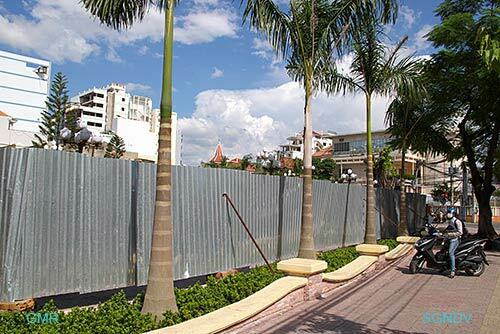 Bounded by Le Loi, Nam Ky Khoi Nghia, Le Thanh Toan and Nguyen Trung Truc right in the centre of district 1. 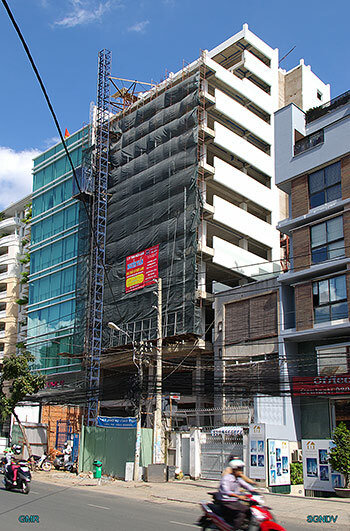 Combined construction area: 82,074m2 which will consist of a basement car park at 22,031m2 and office area 60,043m2. 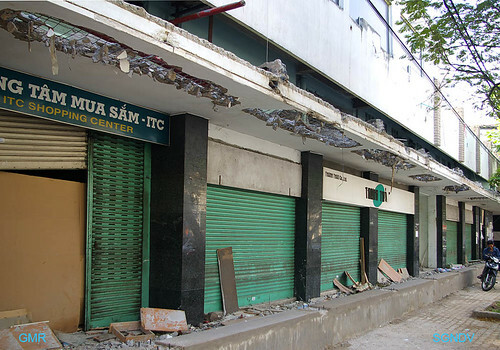 Demolition of the ITC building has already begun, shops closest the Le Loi side including SJC are still trading as of 15 oct. 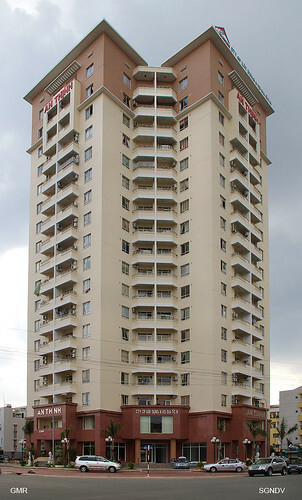 The ITC building was subjected to a tragic fire on the 29 October 2002 in which 60 people lost their lives.